Google Sitemap is a must have plugin for your WordPress website. First of all, it informs search engines what pages on your site are available for crawling, so it makes easier to find your content. Secondly, you can set it up without deep knowledge in programming and SEO. The sitemap of your website is a document which includes all URLs of your site with related data (when and how frequently the content was changed, its priority, etc.). You have a large amount of media content. Note that you can exclude or hide some pages or post types from your sitemap file which you don’t want to be indexed by search. This way, it is easier to navigate through your content, which, in turn, makes search engines index your content much better. You can create sitemap files manually or by using our plugin. Don’t forget to add it to “robot.txt” file so that search engines could see it. Google Sitemap plugin generates XML sitemap automatically for your WordPress website. 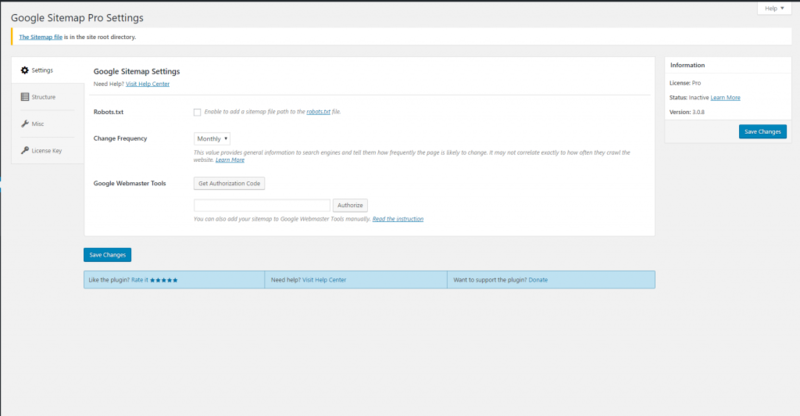 It supports not only default WordPress pages but custom URLs too. Also, you can add it to your Google Webmaster tool account. Thus, you’re able to see how many pages exactly have been submitted and indexed. Another benefit, it informs you about errors you may miss. With this information, you can check how well your site is doing and what can be improved for its performance. After plugin installation and activation, it is necessary to configure the plugin. With new settings interface, this procedure won’t take a lot of time. Sitemap plugin is a great example of the tool which really matters. Interaction with search engines is an important part for every site owner, especially, when you start growing and it becomes harder to discover all posts and pages and prioritize them efficiently. So, if you haven’t created a sitemap for your website yet, do it as soon as possible and improve your website SEO! Meet New Invisible Google Captcha!